To find full and in depth instructions on how to use Vitaros, consult your Patient Information Leaflet for complete guidance and direction. 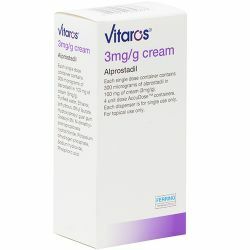 Vitaros is available as 300 mcg alprostadil in 100 mg of cream. Vitaros should be used as needed to achieve an erection. Each Vitaros AccuDose™ container is for single use only and should be properly discarded after use. Vitaros will be posted in an insulated box with a chiller pack. As soon as you receive your delivery please place into your fridge at home. Vitaros should not be frozen. 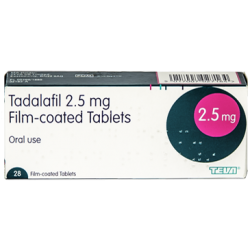 Each single container contains 300 micrograms of alprostadil in 100 mg of cream (3mg/g). 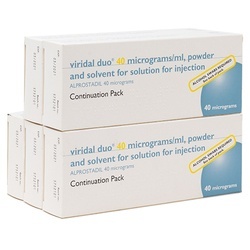 Vitaros is available in unit cartons with four (4) single dose containers. The other ingredients are purified water; ethanol, anhydrous; ethyl laurate; hydroxypropyl guar gum; dodecyl-2-N,N-dimethylaminopropionate hydrochloride; potassium dihydrogen phosphate; sodium hydroxide, for pH adjustment; phosphoric acid, for pH adjustment. 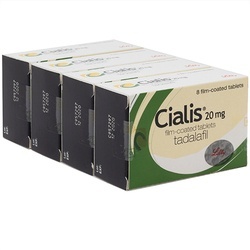 If you get a long-lasting erection of more than 4 hours, contact your doctor immediately. Your doctor may reduce your dose of Vitaros or discontinue your treatment.